I love how these puppies have already found the way to get out of their pen! Huskies are really good at this to begin with, and the best way to get proficient at something is to start early! Hope they are not too much for their current owner to handle. 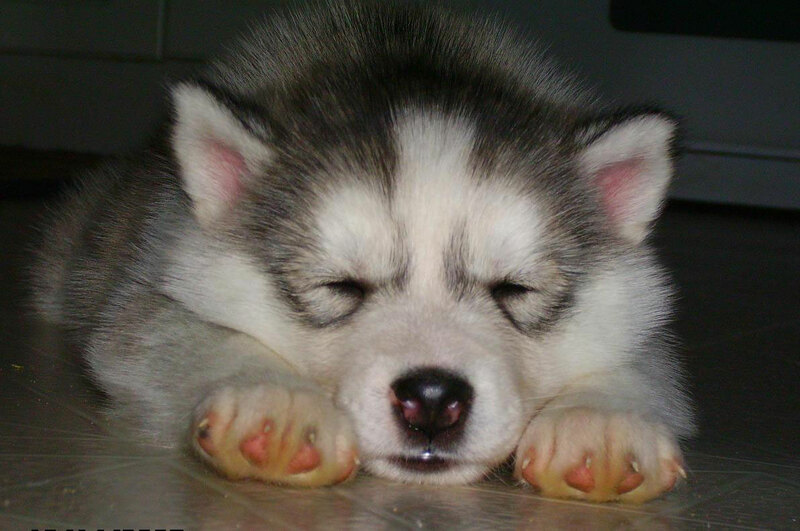 I know, I know, there have been lots of husky pictures on the site recently. I could not resist when I saw these! Wednesday means I must post a dog picture, and as the snow is finally starting to melt I saw these pictures and found them very appropriate! This fuzzy little guy looks like he is enjoying the snow, but you can see the grass under there! We are getting so close to being able to see grass here. If it is the same where you live may this puppy bring you a smile! 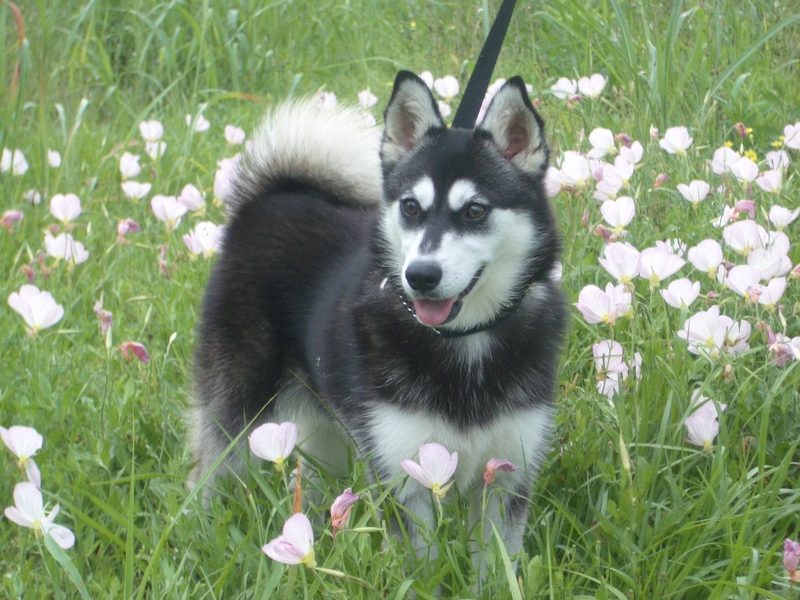 I want to bring light to a wonderful dog breed called the Alaskan Klee Kai. You may see pictures of this breed on Pinterest – at least I have. Why you might ask? Well, I have not seen these little guys receive enough attention recently given the huge interest I have seen online for Pomskies. While there are distinct differences between these two breeds, I thought I would feature this established breed that might just fill that need in your life or be an even better option for your family. 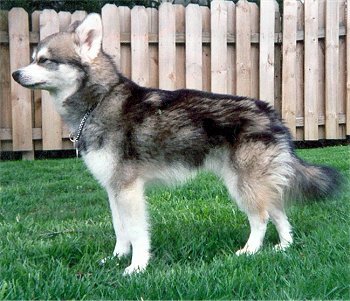 The Klee Kai is basically a smaller version of the Alaskan Husky, standing up to 17 inches high and weighing 10 to 25 pounds. 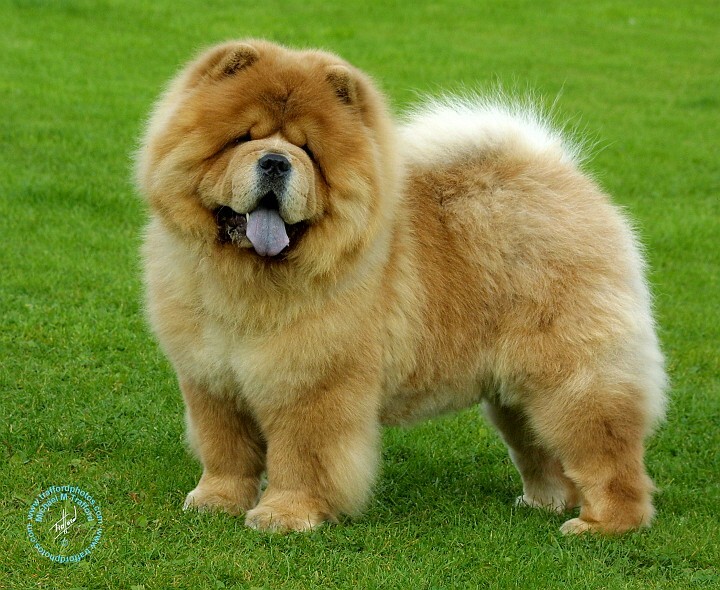 It has an established breed standard, and is recognized by the American Rare Breed Association and the United Kennel Club. All coat colors are acceptable as long as the face mask is distinct with a lighter color on the throat, chest, and underside. The coat should be thick and silky, with feathering on the ears and feet. Ears should be erect. You can read the full breed standard here. The breed was created around 1970 in the US, but is still rare. 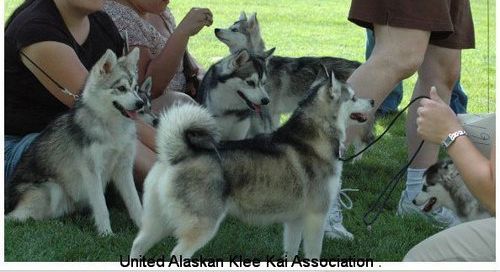 The name Klee Kai derives from the Eskimo words for little dog. This breed is meant to be a companion rather than a working dog like the larger dog it resembles, and is therefore intelligent and energetic. They can be kept in small spaces like apartments, but they do need regular exercise. Klee Kais are cleanly dogs, requiring regular brushing but only really needing bathing every so often. 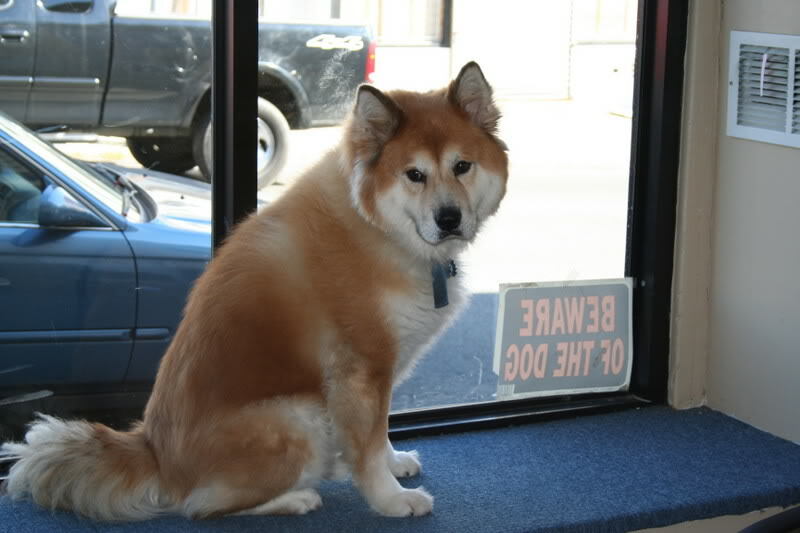 They are loving with their family, but can be cautious of strangers, which makes them a good watchdog. They require a firm owner willing to train them. Much smaller and more manageable for owners looking for a dog with that husky appeal but cannot have, or do not want, a large animal. How much do these puppies cost? Well, they are a rare breed and costs do vary by breeder but they can go for around $2000 – $3000. Fair warning before getting too attached to wanting one of these beauties! I just love the bright blue eyes that seem to be fairly common among this breed. What in the world is a Chusky you ask? 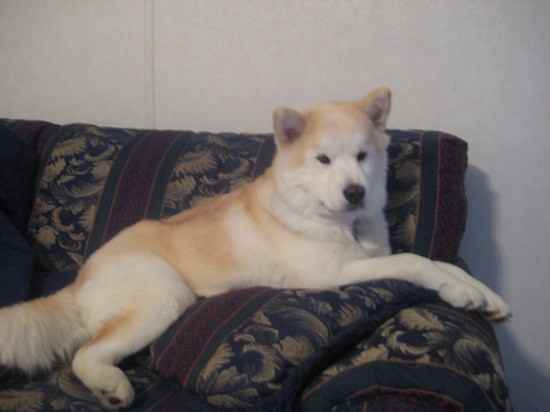 Well, it is what some are calling the mixed breed cross between the Siberian Husky and Chow Chow. Always remember that the best indication of what a mixed breed’s temperament and appearance will be are based on that dog’s parents. This is not a pure bred and as such will have a wider variety of differences in major characteristics. That does not mean that a Chusky is not a great dog, just that puppies can be an unknown quantity for size, color, build, etc. Never base your desire for a certain dog on one picture you see online, especially if there is only one or two. Said pictures may be created in photoshop, altered in some way, is a puppy (that is cute and fluffy) but results in a much different adult dog, or is of a dog which has a particular hair cut. This is the picture that I have seen spreading around. 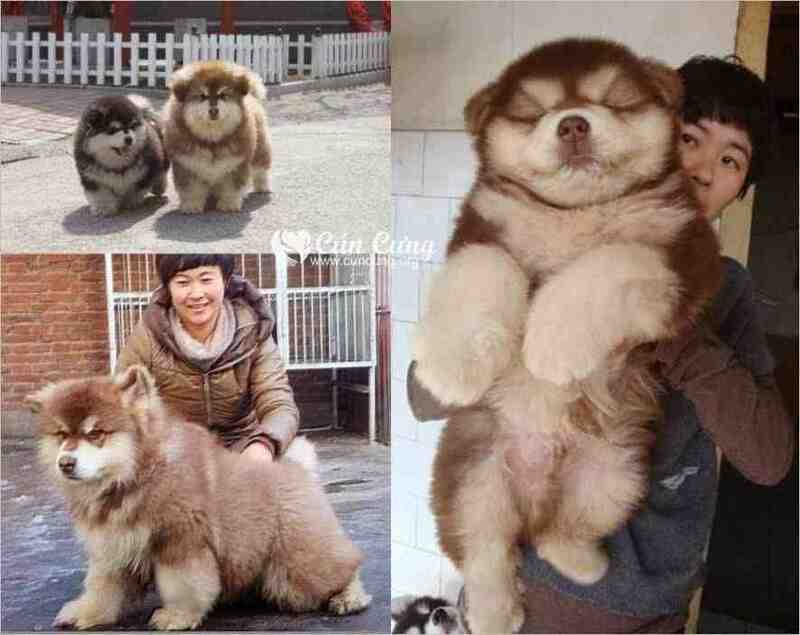 An animal built more like a Chow, with that fluffy coat, but the coloring of a Husky. This is however, the only picture of its kind when searching for these dogs. 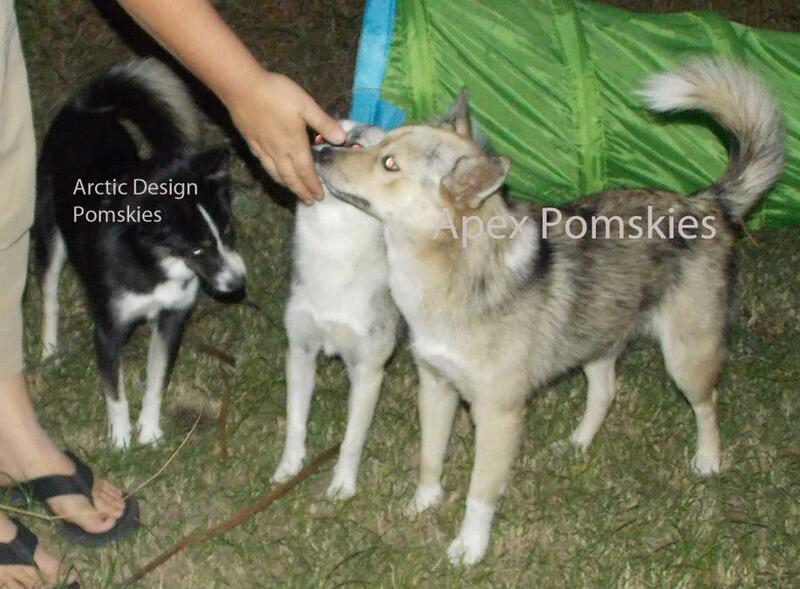 So either these dogs come from a well organized foreign Chusky breeder who has worked out how to achieve these looks, these dogs have colored fur, or they are very unique pups. Chuskies are very intelligent dogs that are playful and can be protective of their families. Given the coat of both breeds involved this dog sheds heavily and the coat requires grooming. These dogs need to be socialized so they can become used to other dogs and people, and not be too aggressive or timid. If your dog has a thick coat they will not tolerate intense heat well, but would do well in cold climates. They will need exercise and a purpose, with the working dog mixed in there combined with their intelligence. I do not know of any breeders working towards this particular mixed breed. You might be able to find one (accidental or intentional crosses) in your local animal shelter – resembling the more realistic pictures above. I just wanted to write this post because of that single picture that keeps spreading so people are aware of what such a cross most likely means to prevent unnecessary breeding and bring awareness to the wonderful mixed dogs that take up residence in our local shelters in need of homes. 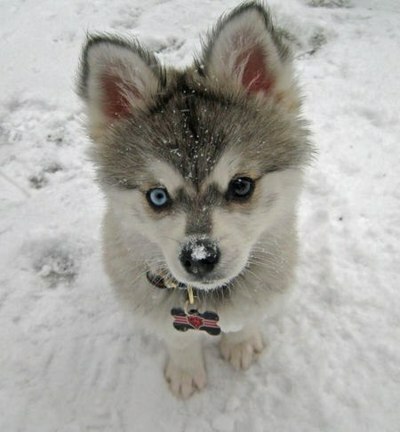 The designer dog mix of a Husky and Pomeranian is often called a Pomsky (plural Pomskies). There is a lot of good information out there about this new crossbreed, but also a lot of misleading information and pictures. Please, always do your research first! If you ever buy a puppy from a breeder make sure they are reputable and you can check out their facility and dogs. A small breed of dog which is friendly, playful, and intelligent. They pick up training, but can also train their owners to get what they want. They are a healthy breed. 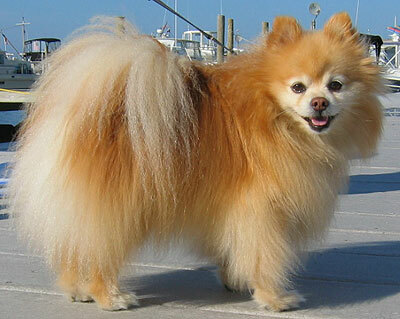 Pomeranians often bark at new situations and people, which can develop into a problem. 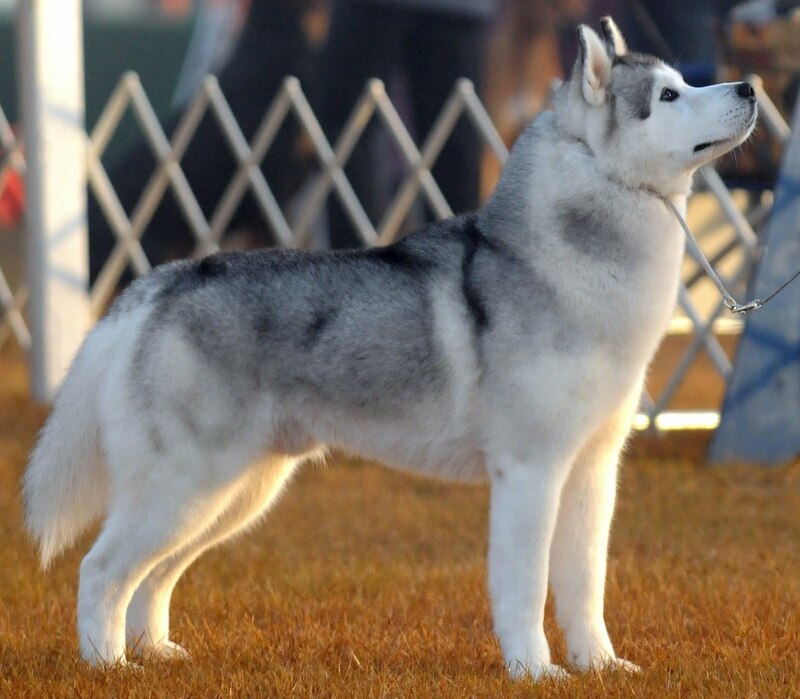 The Husky is a robust and strong breed of working dog most often used in sled pulling. 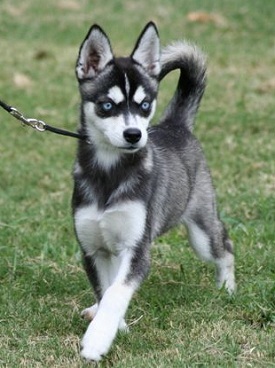 I am guessing that the type of husky used for breeding a Pomsky would depend on the individual breeder. 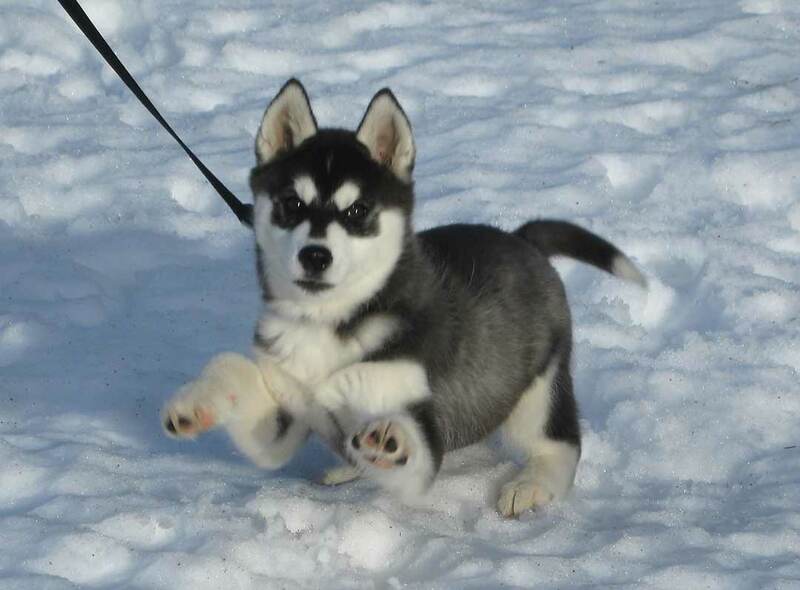 “Husky” is a term which refers to any dog used to pull sleds differentiated by their pulling style. 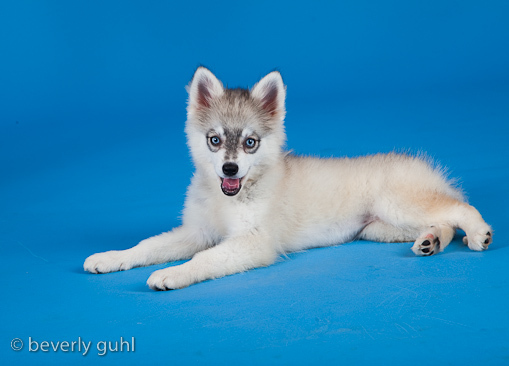 These huskies can be mixes of many types of dogs and vary in particulars like coat, height, build, and color. These dogs are often crossed based on ability and in an attempt to create better working dogs, but are not registered as purebred dogs for show purposes. On the other hand, the Siberian Husky is a specific large sized working dog originating in Siberia with a set breed standard and appearance. These differences would affect the outcome in a mixed breed pairing. Given that these dogs are a mix, sometimes first generation and sometimes mixes of already mixed animals, individual dog’s characteristics vary. 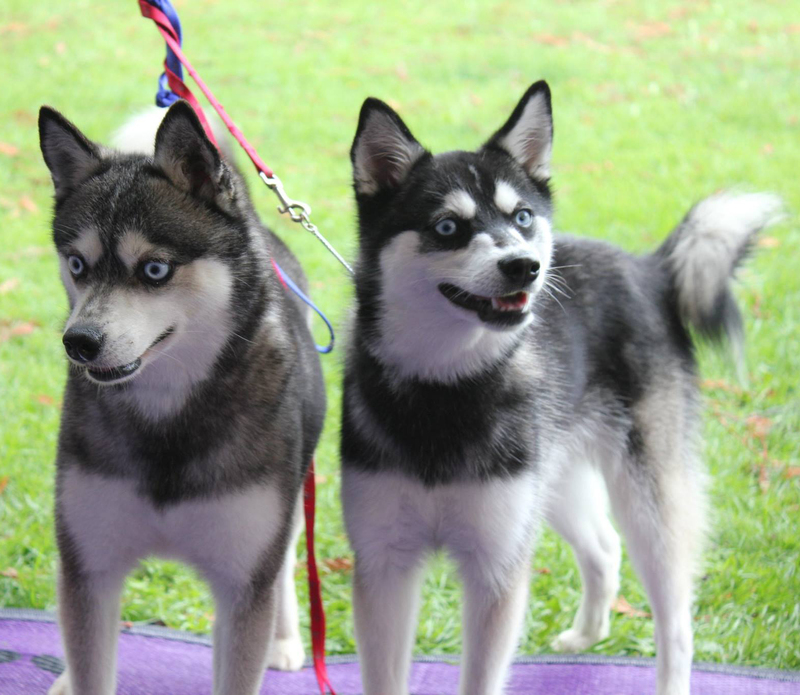 Most often Pomskies are small in size like a Pomeranian but have Husky coloring. This is, I believe, what breeders are working towards. Of course, with further development of the crossbreed and more generations there will be standardization of qualities like size. Actual adult size will depend on the parent’s size and can range from around 15 to over 25 pounds. 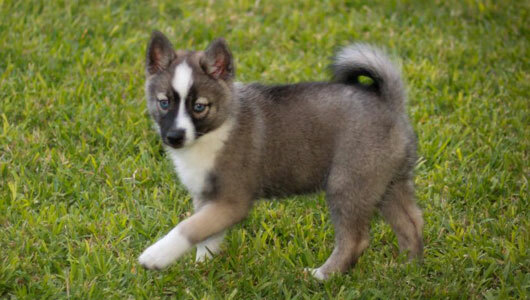 Smaller adult Pomskies will be possible with further generations. 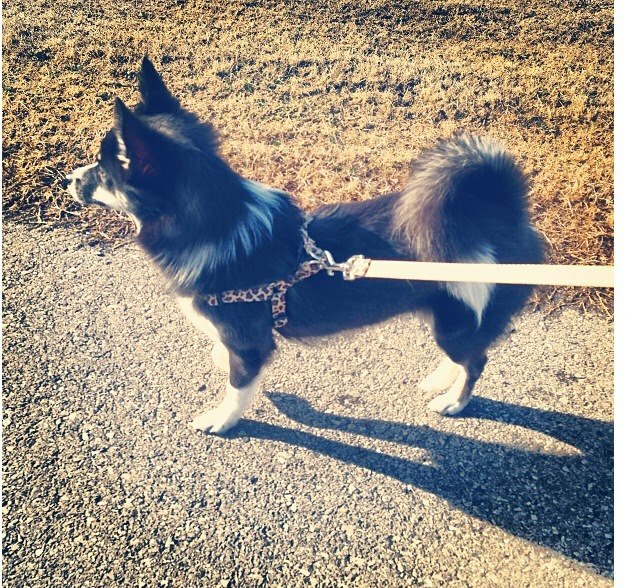 Pomskies can have the entire range of colors for both Pomeranians and Huskies. Coat length and fluffiness will depend on parent crosses, so some will be fuller like a Pom while others smoother like a Husky. Shedding will be close to whichever parent’s coat a puppy gets. 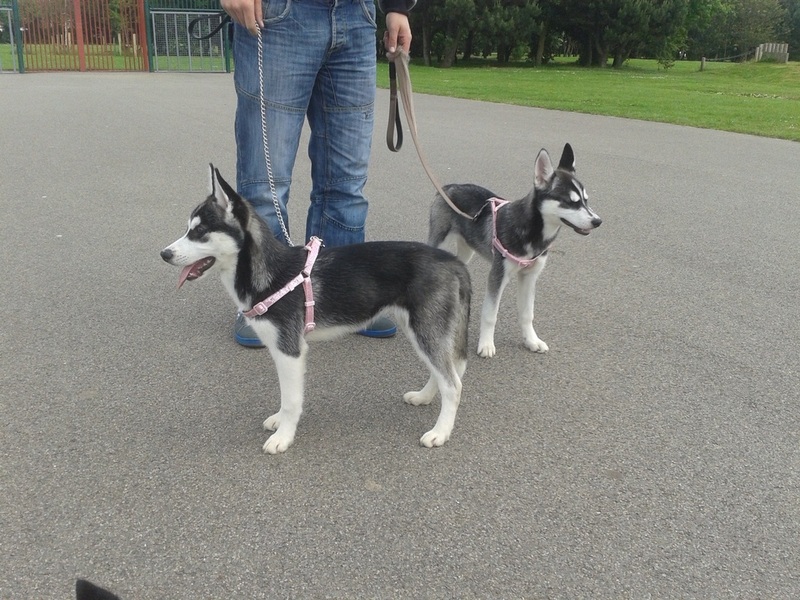 First generation crosses are often more Husky like, medium shedding dogs which blow their coat during the summer. Ears should always be erect, especially if both parents had erect ears. The tail should be curled over the back like both parent breeds. Note: This is in regard to an ideal standard, as with any other dog that should have erect ears or a curled tail. If a dog’s ears fail to come up, stand up all the time, or has an uncurled tail such a dog still makes a great pet quality animal but those traits are a “defect” detracting from a breed standard and are therefore not ideal and would disqualify a dog from being show quality. 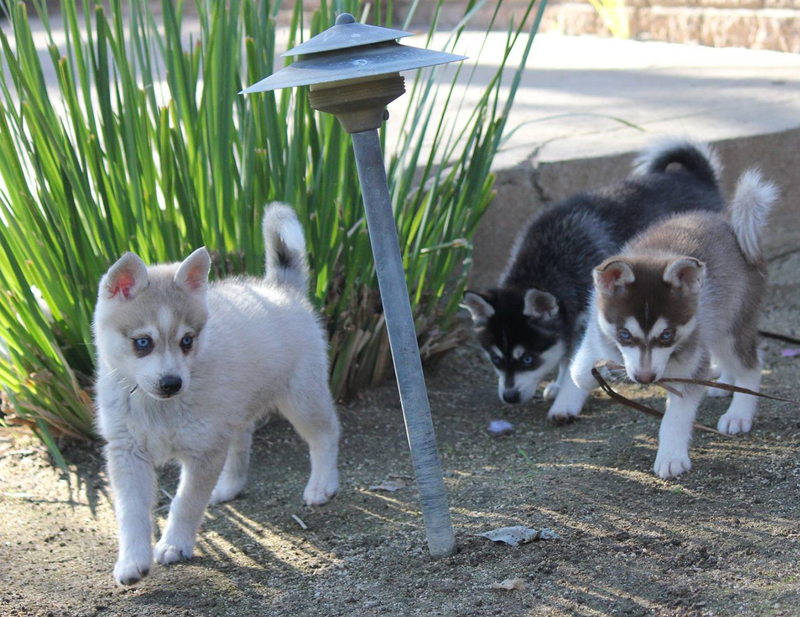 Temperament is a mix of the parents, and will vary based on individual, but most Pomskies are energetic, intelligent, and may be loud. They are said to take well to training with your effort, and to be good family pets. A Pomsky puppy will cost around $1500. This will vary by area, breeder, and availability. These dogs are still “rare.” There are not many breeders specializing in this crossbreed and there could be a lot of puppy mill style breeders (or simply inexperienced breeders) trying to take advantage of the low supply. 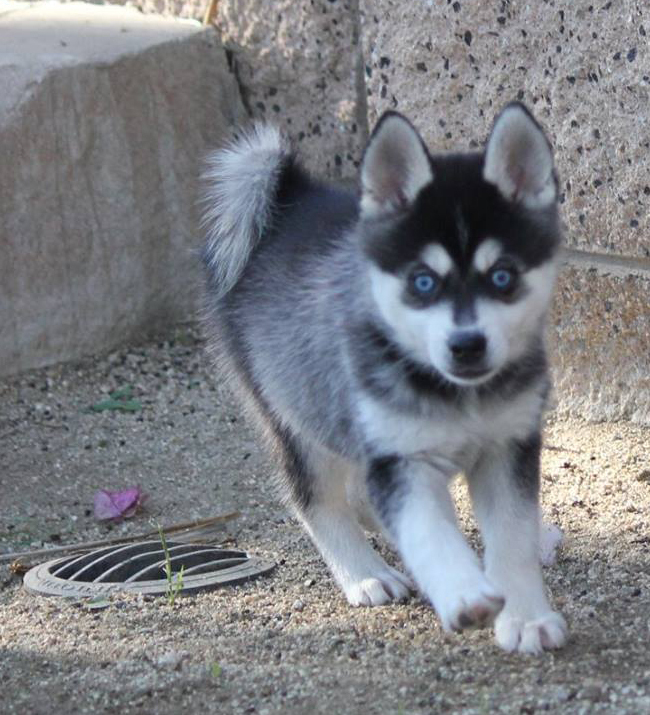 If you are looking for a puppy I will direct you to the breeders page at the Pomsky Club of America. 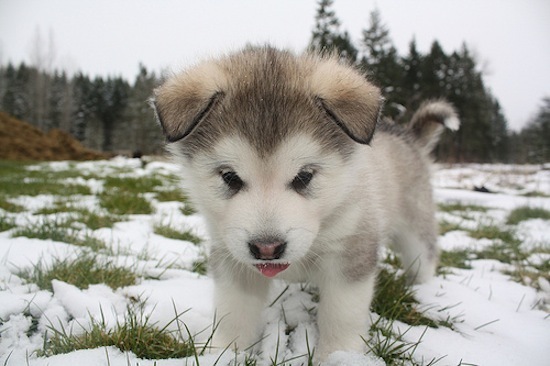 There is misinformation that these dogs will always look like Husky puppies, often featuring pictures of actual Husky puppies or Pomskies as puppies and claiming they are fully grown. If you feel that this is actually true after seeing images of adults, then enjoy the breed for that. However, I do not find this to be true after looking at the pictures of adult Pomskies. 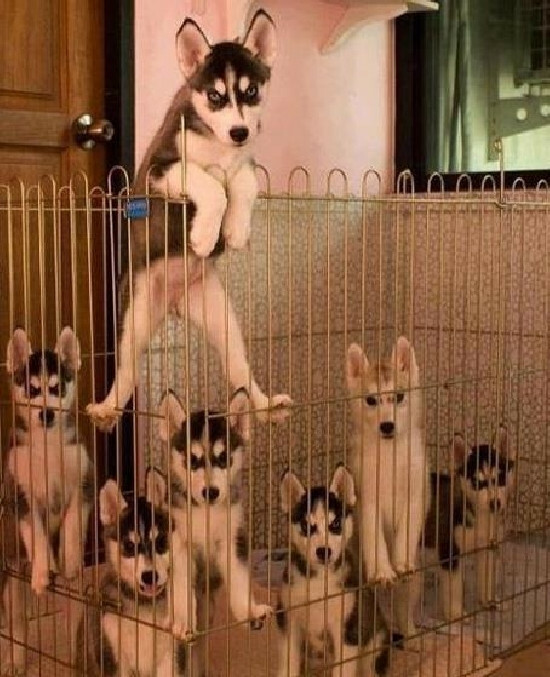 The dogs just look like small sized Huskies. 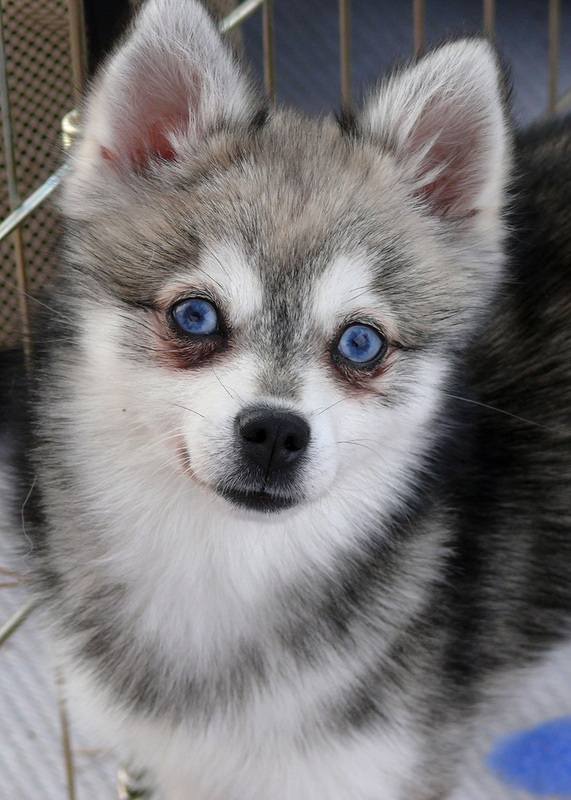 UPDATE: I am not, nor have I ever been, a Pomsky breeder. 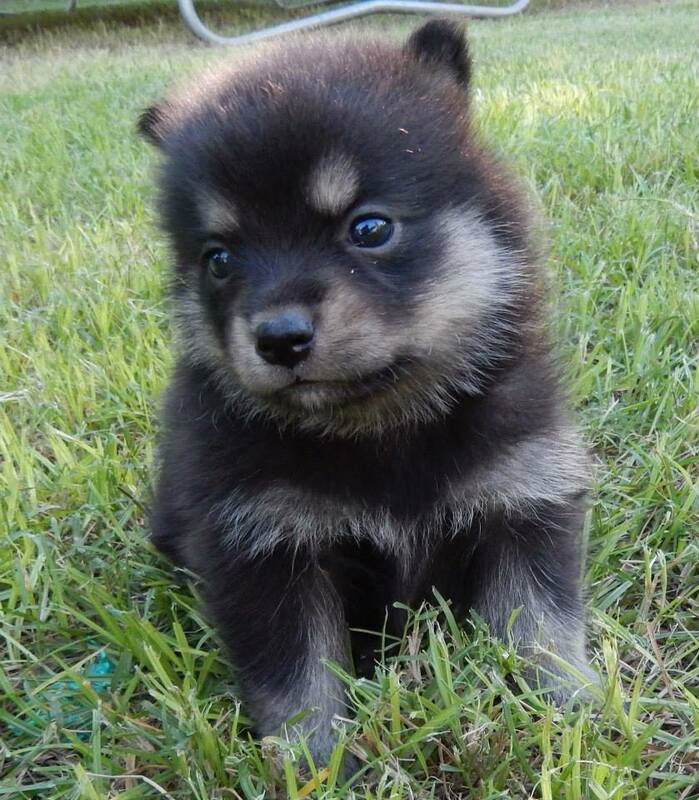 As I mentioned above, if you are looking for a puppy you should check out Pomsky Club of America or Google to see if there are local breeders in your area. Please make sure you check out your breeder first before buying a puppy to make sure they keep their dogs and puppies in a good enviroment. A good breeder will allow you to see where they keep their dogs and allow you to meet the puppies before you pay the full amount for the puppy. 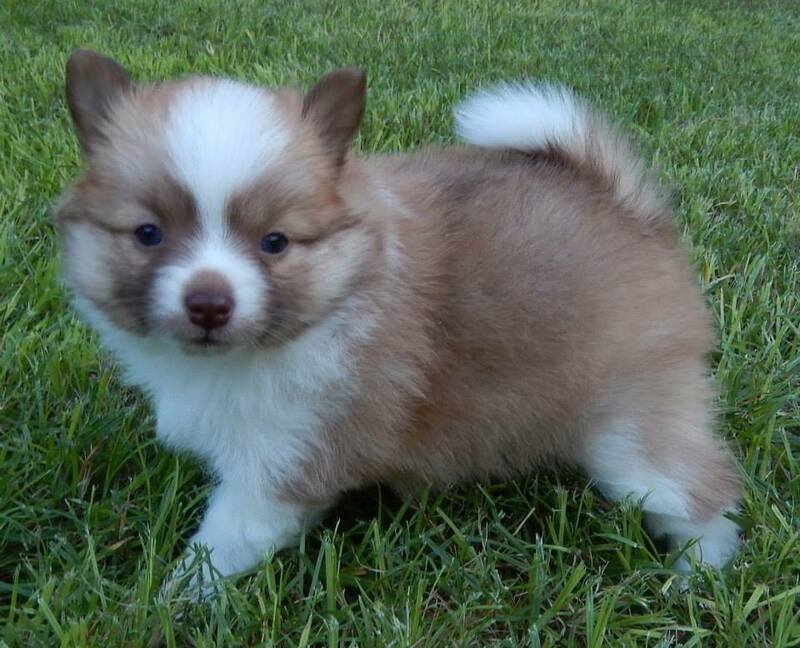 I have seen too many fake listings for Pomskies that use puppy pictures from a Google image search. Be careful and do your research always! 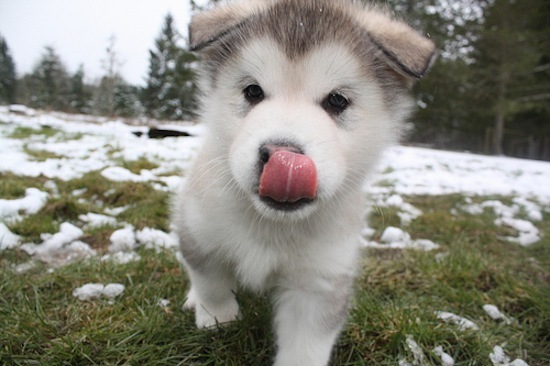 A husky puppy named Wolfie has his first week at his new home documented on youtube and it is adorable! I know the video is a bit long, but it is worth it. I love watching Wolfie sleep, play, and try to figure out how life in his new home works. 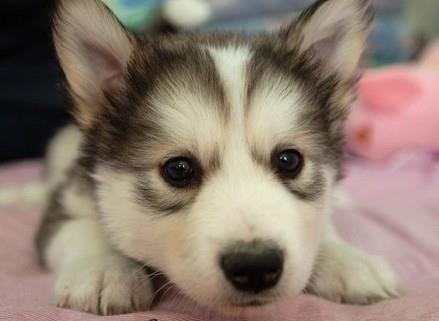 When I next get a puppy I hope to have the time to take lots of videos and pictures! 3 month old puppy – look at those paws! Looking for a Pet First Aid Course? speedyrabbit on Happy Earth Day!